PeaCounts is the world’s first blockchain-based payroll system connecting developers to build human resource management solutions for businesses and industry leaders, creating new methods of measuring work and automating payment. Using the PEA token based on Bitcoin technology to maximize security, PeaCounts uses smart contracts and AI to verify activity, then releases funds automatically to the employee upon completion of the contract. Since employees self-onboard and employment verification is automated, employers process no paperwork, maintain no records, and the smart contract eliminates the labor cost of manual payroll processing and filings. PeaCounts’ revolutionary technology eliminates HR paperwork, tax filings, and the labor cost of payroll processing, potentially saving companies millions over time. PeaCounts is developing as open-source technology to encourage developers to build upon the platform for applications both within existing businesses and industry-specific solutions. PeaCounts’ first phase of revenue will come from pairing enterprises with developers to implement the system. As the network expands, PeaCounts also generates revenue from the performance and user data collected by the system. 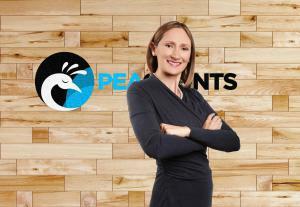 As the network expands, so does the value of PeaCounts. PeaCounts will be presenting as an Alpha Startup at Web Summit 2018. PeaCounts is reinventing work with its blockchain payroll solution that revolutionizes how professional engagements are measured and people are paid. Using the PEA token based on Bitcoin technology to maximize security, PeaCounts uses smart contracts and AI to verify activity, then releases funds automatically to the employee upon completion of the contract. PeaCounts is releasing its code base open source to encourage developers to build blockchain business solutions based on the PeaCounts protocol. Web Summit is a global technology conference hosted annually in Lisbon. In 2018, more than 70,000 attendees from over 170 countries will fly to Lisbon for Web Summit, including over 1,500 startups, 1,200 speakers and 2,600 international journalists. The team behind Web Summit also run other international technology conferences with Collision in Toronto, Canada, MoneyConf in Dublin, Ireland, and RISE in Hong Kong.